When I was first married, I attended Sabbath services at the rabbinic school where I studied. Present at the services were many of the rabbis who taught me during the week. I recall very vividly one occasion when the young child of one of the rabbis grossly misbehaved. He began to hit his father and used unbecoming language. In spite of the child’s appalling behavior, his father did not hit him or rebuke him publically. He did not shout at him nor scold him nor physically grab him. At the time, I wondered whether the father was teaching his son by example how to show restraint and how to control emotions or whether the kid was in control of the situation and mocking his father. To this day, I don’t know the answer. All I saw was one snapshot in time, from which no conclusions could be drawn. However, a recollection of the incident reminded me of how complicated it is to be the child of a celebrity or prominent leader in the community. It can be a blessing or a curse. Consider for a moment the children of Margaret Thatcher as depicted in The Iron Lady, an exceptional film about a young civic- minded girl who rises in political power to become Britain’s prime minister. But there is a dark side. Her family pays a price for her rise to power and for the maintenance of that power. Margaret Thatcher had twins, a boy and a girl, who have a lukewarm relationship with their mother. They are dutiful children, respectful, yet distant emotionally. There is love between mother and daughter but the connection is strained. Her son Mark lives in South Africa and is not always available even by telephone. At one point in the movie, Margaret watches a DVD of her little children playing on the beach, but it is only a hazy memory of a warm and loving time long since gone. Even her devoted husband is ambivalent about the price the family has had to pay for Margaret’s dedication to serving England. Children of people in leadership roles do not travel a simple road. The eyes of the community are upon them. Sometimes it is fine and the children rise to the community’s and parent’s expectation. Sometimes they do not. It is instructive to note that there is little in the Bible said about the son of the greatest Jewish leader Moses. His son, Gershon, is a footnote in Jewish history, suggesting that Moses paid a personal price for his leadership of the children of Israel. Gershon never rises to a position of leadership or prominence. He remains average in spite of the fact that he was Moses’ son. Instead, Joshua, Moses’s trusted student, assumes the mantle of leadership once Moses is gone. The Sages tell us that it is good to work on behalf of the community, and blessings will accrue to you because of that valuable work. But clearly, the Sages also warn us about the potential negative effects of community involvement. Every one of us has to make a careful calculation of the costs and benefits of such holy labor. Streep is great, but that’s about it from this relatively dull movie. 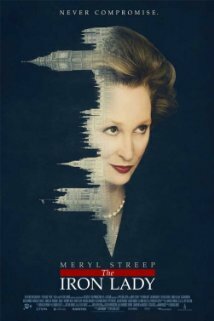 Thatcher is a wonderful subject to pay-attention to, but the movie doesn’t do her much justice. Good review. Texas! Just wanted to mention keep up the fantastic job! Thanks for the feedback. It is much appreciated.